Providing a high level of customer care and attention through a pipe burst, water heater loss, or any kind of flooding incident is technical work requiring experienced professionals like our water damage Plano team with 911 Restoration Fort Worth. Our water damage Plano specialists have been solving the challenges brought about by these types of incidents for their entire careers. That is how we know that being at the scene quickly is the best way to prevent damages from increasing through stagnation. We are able to arrive within 45 minutes so that we can begin to work immediately and save your home or business from further losses. Additionally, we are available 24/7/365 to take on projects even in the middle of the night when a crisis occurs. If your business or residence is already experiencing the effects of a pipe burst or other flooding incident, then contact our water damage Plano team with 911 Restoration Fort Worth today! Our specialized team of water damage Plano experts with 911 Restoration Fort Worth are the go-to call that people make when they have a flooding crisis, but they also contact us regularly to help prevent such instances too. Eliminate any dead limbs on the trees that are around your property to make sure they can’t fall onto your roof in a major storm. Clean out your gutters to ensure that you don’t get any clogs which turn into overflows that then flood your attic and ruin your roof. Never place anything into your plumbing system that it was not designed to facilitate. Check the hoses and connecting pieces on your water-based appliances to see if there are any sections with wear and tear that need to be replaced. Inspect the exposed piping around your home or office to see if there are any areas with rusting, dripping, or corrosion that need to be replaced. These are some of the most regular reasons that people find themselves having to deal with water damage, as well as how to amend them, but there are plenty more, so give us a call if you have questions. 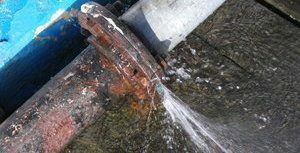 Don’t let your business or home become submerged in category two water without help from the best. 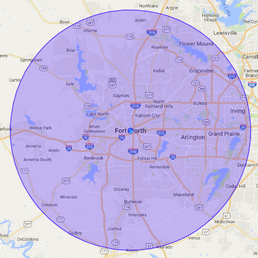 Contact our water damage Plano team with 911 Restoration Fort Worth for help today! 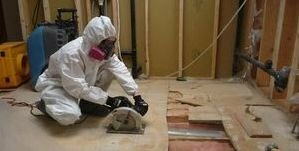 Our water damage Plano team with 911 Restoration Fort Worth is always ready for an emergency, and whenever we work on a home or business, we make sure to put the needs of our clients first and foremost. We endeavor to always walk our clients through every phase of the restoration process, from the extraction of excess water to the final coat of paint we apply. In fact, our team cares so deeply about the properties we work on, that we will even help out with all of the insurance paperwork that comes with a claims process. When we are done eliminating the standing water from your home, we begin the dry-out process so that we can restore your property to its former glory as quickly as possible. If your home is already amid a flooding event of some sort, then don’t wait another minute to get in touch with our water damage Plano team with 911 Restoration Fort Worth for help today!